Is your kitchen bland and uninspired? Do you want to update the look of your kitchen quickly and without a major renovation? Well, you’re in luck! There are a variety of simple ways to improve the look and feel of any kitchen space without breaking the bank with a full redesign. Choose from one or several of the methods below, to create a unique space that’s functional — and beautiful. Here are a few suggestions to help you bring your kitchen cabinets to life! Painting your cabinets is an easy way to give your kitchen a refreshed and modern look – learn more. Installing lighting on cabinets isn’t just a practical improvement. It can make the whole room glow, especially if you take a multi-directional approach. You can add uplighting with energy-efficient LED tape or fixtures on the tops or bottoms of your cabinets for different effects. Consider dimmable task lighting for the kitchen so that you can make it as bright as necessary for doing prep work but dial it down for evening mood-setting. Lighten up a heavy, closed-off kitchen by converting your ordinary cabinets to open shelving. It’s a really quick way to make a dramatic difference in the look and feel of your kitchen space. A good tip is to open up the cabinets that contain items you most frequently use — dishes, glasses, etc. That way, by removing the cabinet doors, you’re adding convenience and functionality, as well as an open, updated look. 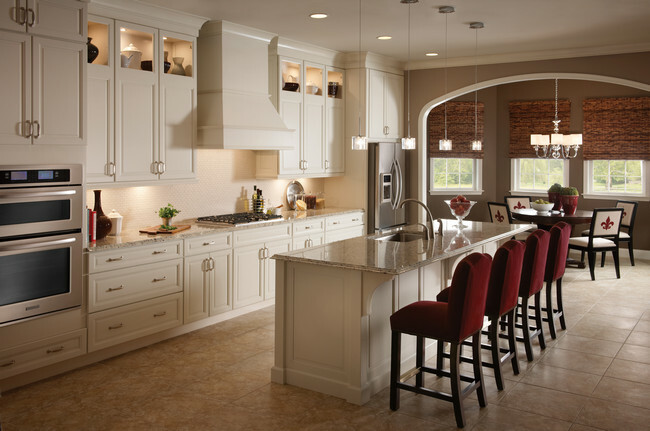 Refacing your cabinets is a project you can do yourself over a weekend without losing the use of your kitchen. There are plenty of options besides plain clear glass: you can choose from etched, fluted, crackled, colored or patterned glass, and set off your new look with interior cabinet lighting. Custom kitchens have lots of built-in features to add functionality, but there’s no reason you can’t have the same perks on a budget. Roll-out shelves for bottom cabinets are a must. If you have solid but unremarkable builder-grade cabinets, the simplest route to a high-end look is adding some height with crown molding. 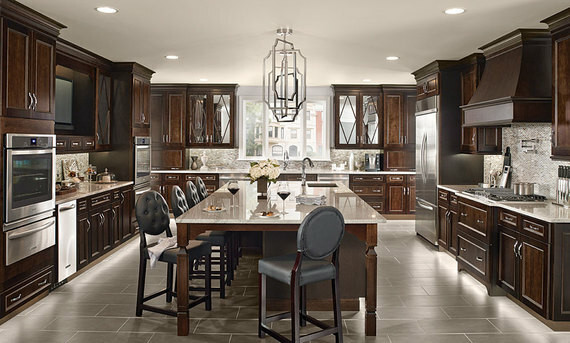 It’s a classic, elegant touch that elevates the kitchen to a room of one-of-a-kind distinction. A fresh take on knobs and pulls is one of the quickest fixes for what ails your kitchen cabinets. Browse for new options at your local GNH Lumber, at handcrafted glass or metal shops or from specialty retailers like Restoration Hardware, which stocks knobs in amber, green, violet, black and clear glass. Don’t forget the dead air space underneath upper shelves — it’s a smart place to stash mugs, dessert plates, baking sheets and other compact kitchen items. The Container Store offers under-cabinet shelving in vinyl-coated wire that adds usable real estate to existing cabinets without taking up any extra space in your kitchen. 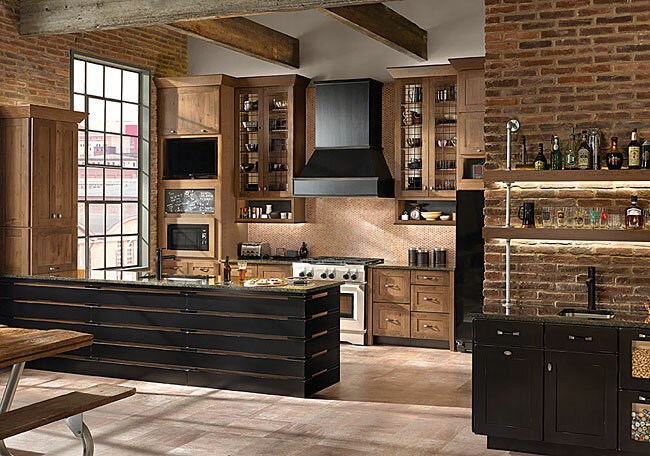 Have fun creating the kitchen you imagine – and don’t hesitate to call on the experts at GNH Lumber for guidance or suggestions along the way!